It’s the beginning of a new college year, which could only mean one thing – time to update your college wardrobe! Of course, for most of us students, funds for our A/W closets are probably quite limited, which is why it’s so important to purchase affordable, investment pieces that are both versatile and timeless, ensuring you sail through semester 1 looking as stylish as they come. Here’s my guide to choosing those key pieces that will build the structure of your A/W wardrobe, without hurting your bank balance. When it comes to jeans, it really is all about quality rather than quantity. Invest in a comfortable, flattering and timeless pair of skinnies, I promise you they’ll last the entire college year and beyond! My own go-to brand for all things denim has to be River Island, with styles and fits to suit every figure, you’re guaranteed to find a pair of investment denims that will never let you down. 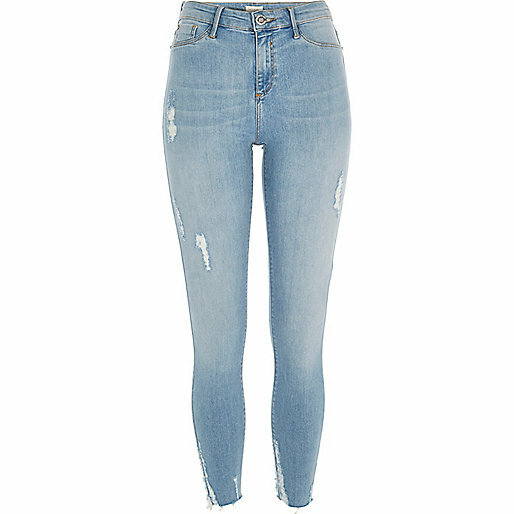 These Molly jeggings are super versatile as they’re casual enough for everyday wear but could easily be dressed up with the right shoes and accessories for an ‘ after college hours’ look too. An oversized bag really is a crucial component of your college wardrobe but it sometimes proves difficult to find one that’s both functional and stylish enough for using every day. A spacious interior that fits all your necessities (laptop, lab reports, lecture notes, etc. ), a strong strap that will withstand the weight of its contents and a colour/design that will match the majority of your college wardrobe are key factors to consider when purchasing your college bag. 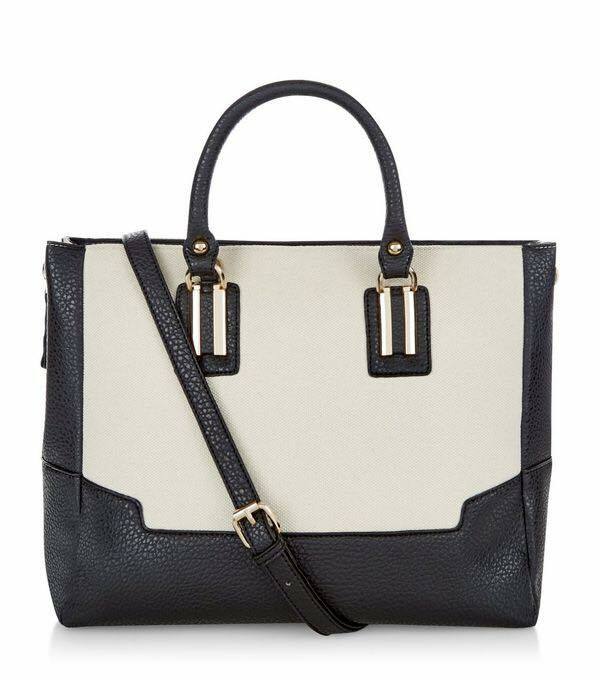 adore this one from New Look as it has plenty of space to pack all your essentials, without looking too bulky. Given the rather unpredictable nature of Ireland’s weather, combined with the Boole’s tendency to jump from icy cold to sickeningly stuffy within a matter of minutes, it’s probably a smart idea to pick yourself up some stylish outerwear for the colder months ahead. Both the timeless parka and this season’s beloved bomber will be making yet another appearance in the A/W 16/17 collections across high street and designer labels. Each style is so versatile, adding an on-trend edge to any outfit, whilst still keeping you dry and chill-free – win/win, eh? 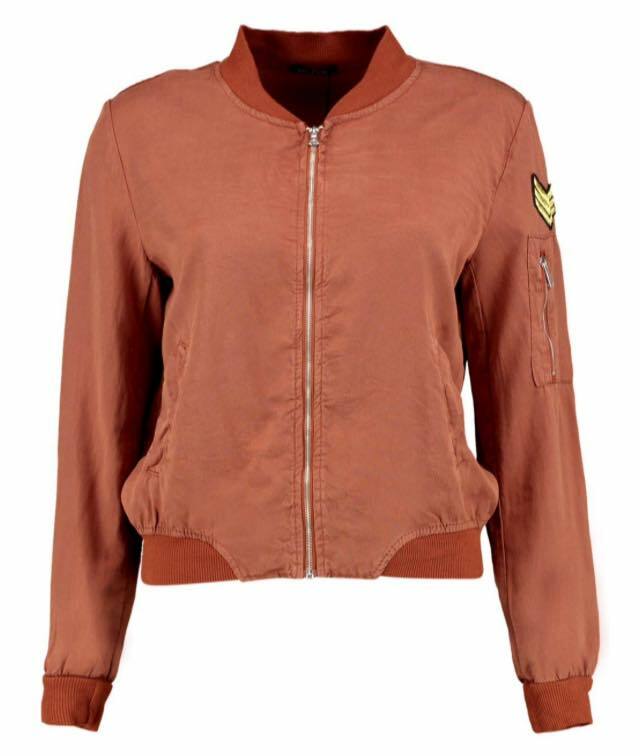 This khaki parka is lightweight enough for wear through the spring months too, while the burnt orange of this bomber will look gorgeous teamed with any autumn outfit. 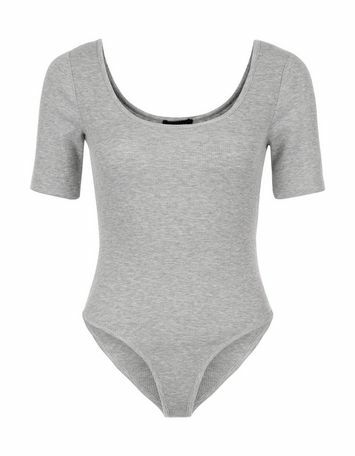 I can’t stress how much I love a classic bodysuit, they’re super comfortable, flattering and give endless ways to be styled, making them perfect for a college wardrobe on a budget. This simplistic style, complete with a scoop neck and 1/2 sleeve is ideal for everyday wear. Stock up on neutral colours such as black, white and grey and you’ll have a gorgeous basis to build your everyday college wear upon. If I had to choose one style of boot to see me through the autumn/winter months, I would definitely choose a pair of Chelsea boots. 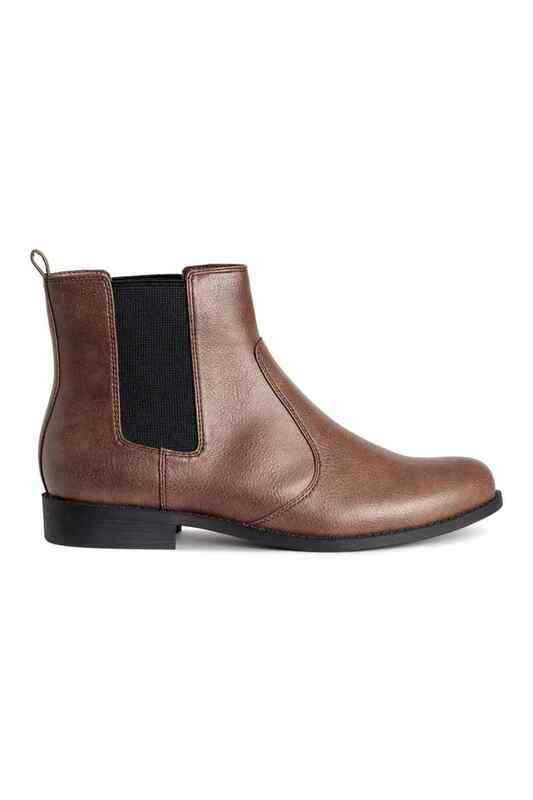 The flattering ankle cut of these from H&M make them perfect for wear with both jeans and dresses. When investing in a pair of boots, it’s important to find some with soft leather that won’t crease badly with wear and the elasticated sides on these also add extra comfort when worn. Opt for a tan or black pair which will go well with any outfit, to ensure you get the most wear out of your purchase. When it comes to accessorizing, an oversized scarf in a vibrant colour or quirky design can transform an outfit whilst still being functional and timeless. 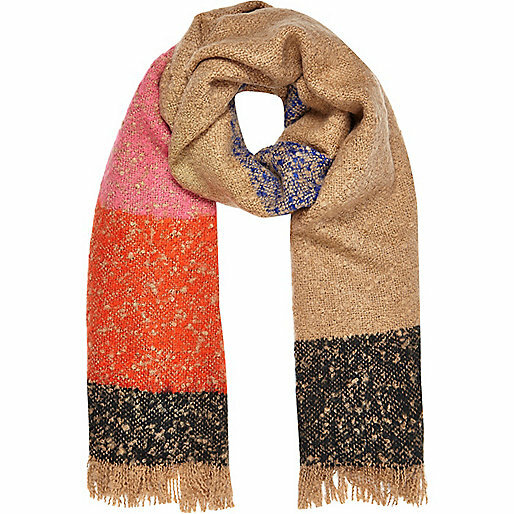 Jewel colours like the burnt orange, royal blue and pink running through this knit from River Island‘s A/W collection will bring denims and neutrals to life. The best part about sporting an oversized scarf is you can layer it according to the weather, making it a really adaptable piece to have in every college wardrobe. 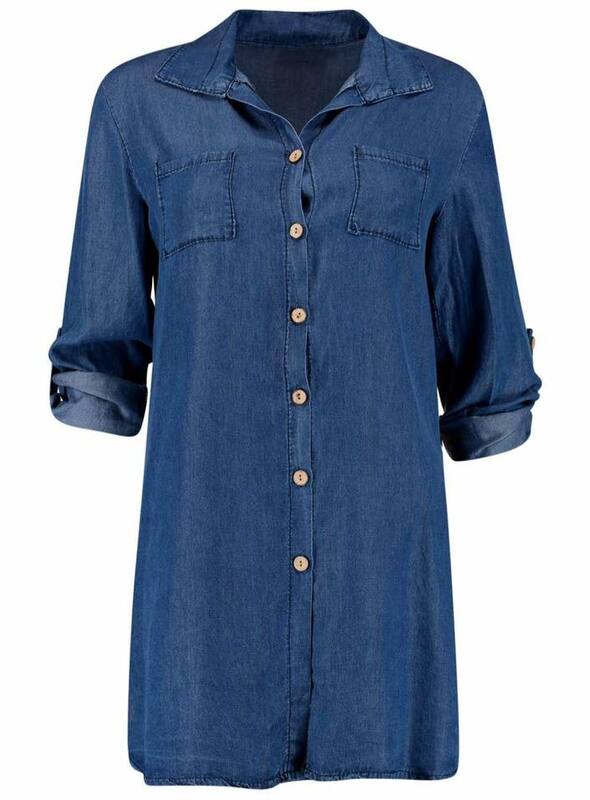 The simplest way to combine style and comfort, in my opinion, is with a shirt dress. If like me, you enjoy making that little bit of extra effort for lectures and labs now and again, you really can’t go wrong with this style of dress. Teamed with tights and Chelsea boots, this little denim number will ensure you remain trend savvy while still being practical enough for running around in as day wear. Even better, it can double up as a going out dress by ditching the tights and swapping the boots for some lace up heels. 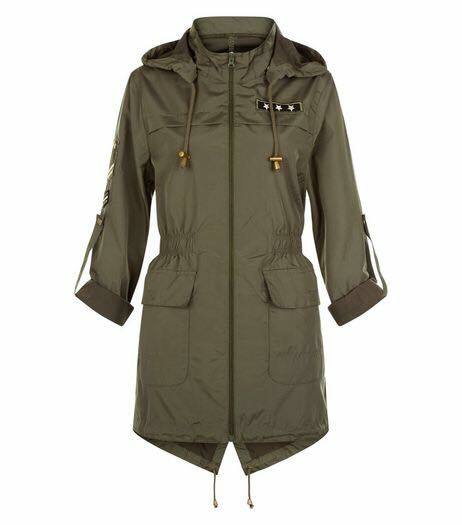 Coming in at under €30, this multi-functional beauty from Boohoo will suit even the tightest of student budgets!